I set a lofty goal to see every Academy Award-nominated performance of the ’00s by the final ceremony of the decade. I’m not going to reach this goal, but along the way, I have seen some great movies and great acting. 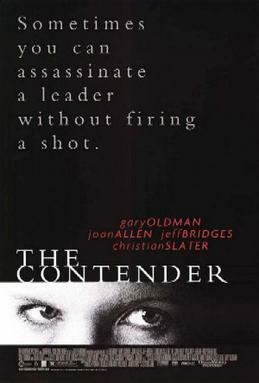 This week’s “F.I.L.M.” (First-Class, Independent Little-Known Movie – refresher on the acronym), “The Contender,” is one of those movies. However, she has strong opponents in her former party, led by the aggressive Shelley Runyon (Gary Oldman). He and a select group begin to execute an elaborate smear campaign, designed to block her confirmation. After a comprehensive investigation, they dig up dirty details from her past, designed merely to distract from the real issue and engrain the image of a harlot in the American minds. One can’t help but see the movie a little differently after Sarah Palin’s vice-presidential candidacy in the 2008 election and her subsequent defamation by the media. The other nominated performance came from Jeff Bridges as the president looking to polish his profile for the history books. It’s brimming with typical Bridges precision and poise, but it’s a fairly reserved role up until the rousing climax (more on that in a second). I have never seen this movie. I was intending to, but I never got around to it.